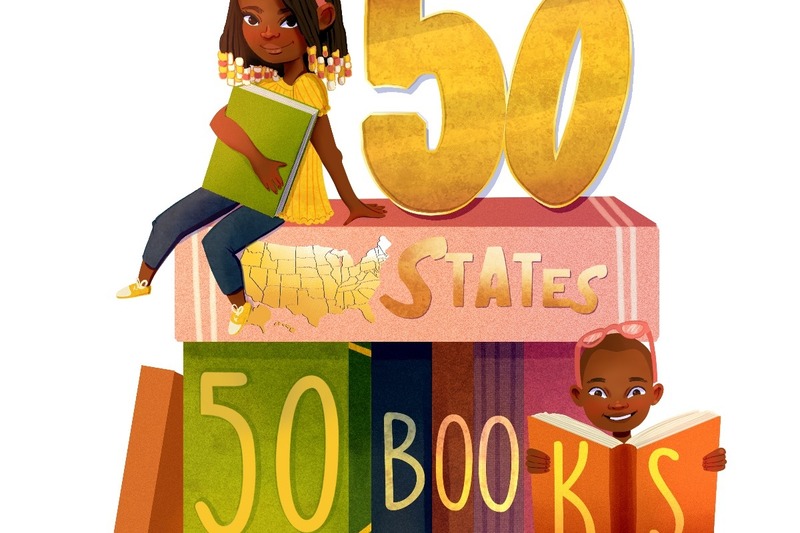 50 States 50 Books is a community service based project inspired by our passion for reading and desire to help close the literacy gap one state at a time. Run by two book loving siblings under the age of 7 with the help of their parents, 50 States 50 Books was started with one main goal in mind: inspire children to become lifelong readers. Our mission is to help close the early literacy gap by providing free diverse books to deserving or underprivileged children, schools or other kid-friendly organizations in need throughout the United States. Our goal is to donate at least 50 new or gently used diverse books to 50 deserving or underprivileged kids, schools, libraries or organizations in each of the 50 U.S. states by December 2020. Follow us on our journey and watch us collect over 2,500 books for kids in need. Our first state donation will be made to an individual or organization in our home state of Connecticut. Next state up is New York! Your monetary donations will help us pay for shipping all books we receive from generous donors to each of the 50 states (with the exception of Connecticut and possibly New York). In addition, we will use any funds we receive to purchase new or used books in the event we aren't able to collect 50 books for every state. In some cases, we may also only want to make a donation of all brand new books in the event we decide to donate them to a children's hospital since they cannot accept used books due to sanitary reasons. We hope you'll consider supporting our project to help change the lives of children one state at a time, one book at a time. Thank you in advance for your support and donations!